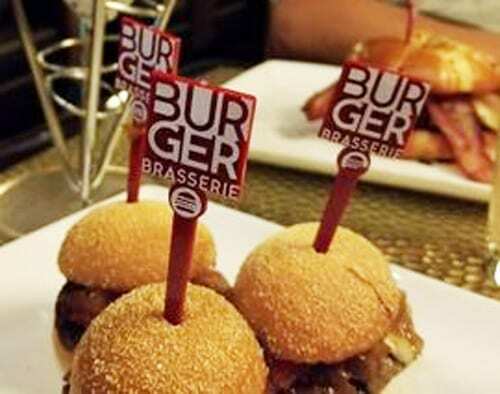 The Burger Brasserie is inside Paris Las Vegas. This restaurant has a convenient location. It sits in between the Bally’s Resort and Paris. Above all, this makes it the ideal location for clients to both casinos . At this restuarant, you will notice something. You will know how continents merge. That is Europe and America. Particularly, it is France and USA or Paris and Nevada. For those guests who are looking for something classic yet classy, this is the place. Here, you will get chicken patties, lamb as well as traditional beef. Who says you will not find a burger here? There is a veggie option for those who do not do meat. Anyway, there is something great for everyone. You will love the idea that everything in here comes in quality and quantity. Whether it is meat, vegetables or even snacks, they are in plenty. We will be quick to point to a few reviews here. These clients give a lot of praises about the restaurant. Here is what some of them have to say. Note that they say this after visiting the Burger Brasserie. Honest Feedback From Actual Customers! · Lemon garlic parmesan wings. · New England clam chowder. Here is where you need to put the emphasis. It is this section that makes Burger Brasserie stand out. · Dry rub chicken sandwich. · Crispy salmon scallopini sandwich. · Pen – faced roast beef. · Tomato & cheddar cheese sandwich. · Ham, grilled pineapple & cheese sandwich. · Grilled ten-ounce New York strip. Do not also forget that there are lots of cocktails and wines. These will complement your healthy eating. What most people don’t know is that Burger Brasserie is home to fantastic stuff. Also, this is the place where you’ll get the world’s expensive burger. It is worth $777. This amount will give you the Kobe beef and the Maine lobster burger. If you think that is too much for a burger, try. You will not regret to use the money. After all, you are not eating alone. You will not finish it. As you wait for your order, continue viewing quality programs on TV. There is a 15 by 15 Television screen as well as 13 smaller plasma TVs. All of these broadcast live college and professional games. The only thing you need to do now is check in the Burger Brasserie.